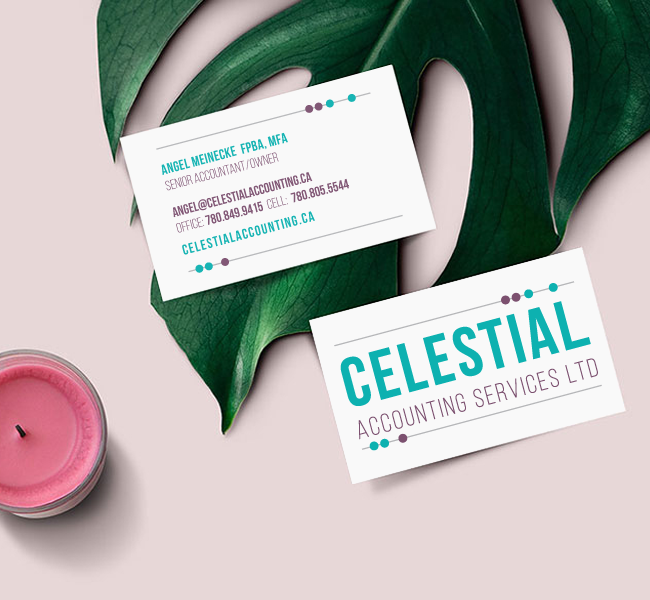 This custom logo I designed for Angel Meinecke owner of Celestial Accounting Services Ltd was so much fun to develop. From the subtle abacus to represent her stemmed roots in accounting, to the bold and fresh blue tones to represent the sky, the root meaning for celestial. I also added hints of purpley-mauve to add a touch of her personality. Angel Meinecke, FPBA, MFA Accountant | Owner Celestial Accounting Services Ltd.